Since I am a lover of Apple products and technology, I was intrigued by XtremeMac’s offerings at CES 2012, please take a look at the release below. 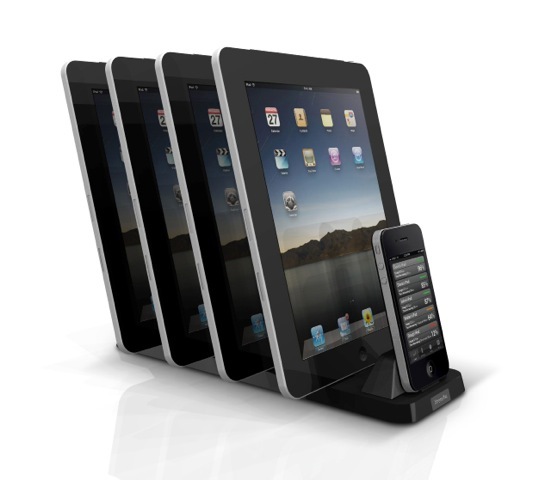 Oakdale, MN – January 10, 2012 – XtremeMac, a leading designer and manufacturer of accessories and audio solutions for Apple devices, is thrilled to unveil three new charging docks – InCharge Duo Plus, InCharge X3 and InCharge X5. Each multi-dock charger provides 10 watts per dock for quick and efficient simultaneous charging any combination of iPod, iPhone or iPad – up to five at a time with InCharge X5 charger. XtremeMac charging stations are perfect for the individual or a whole family of Apple devices. Celebrating its 10 year anniversary, XtremeMac is a portfolio brand of Imation Corp. (NYSE:IMN). Founded in 2001, the same year Apple introduced the first iPod™, XtremeMac provides innovative solutions to protect, power and play Apple devices. The brand’s award winning cases, speaker docks and charging solutions incorporate leading edge design and advanced technology to enhance customer experience with Apple products. Additional information can be found at XtremeMac.com, Facebook/XtremeMac and Twitter/XtremeMac. XtremeMac, InCharge and the “X” logo, are trademarks of Imation Corp. iPod, iPhone iPad and Apple are trademarks of Apple Inc, registered in the U.S. and other countries. Be the first to comment on "XtremeMac™ InCharge™ Duo Plus, InCharge X3 and InCharge X5 Unveiled at CES 2012"